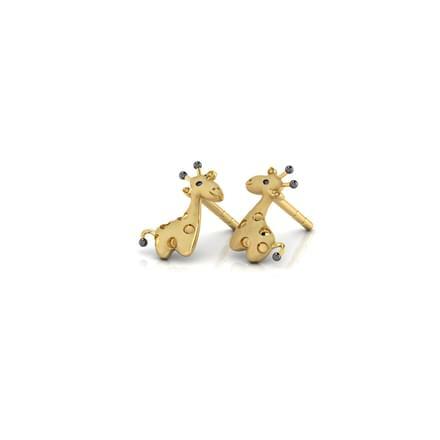 The first earrings that infants wear are thin gold wires pierced into the lobe of the ear. 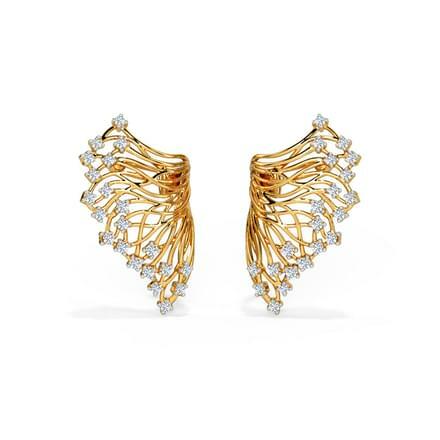 With time, this simple ear adornment changes, with age and occasion deciding the design. 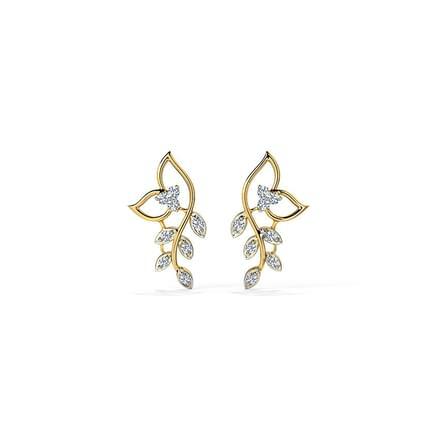 Wearing earrings is almost taken for granted and, many times, the absence of earrings makes one look incompletely dressed. 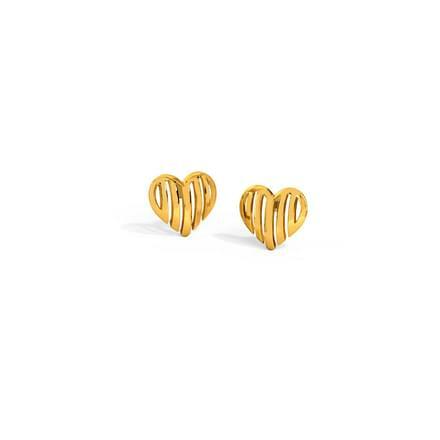 It takes just a small piece of gold on the ears to transform the look of the wearer. 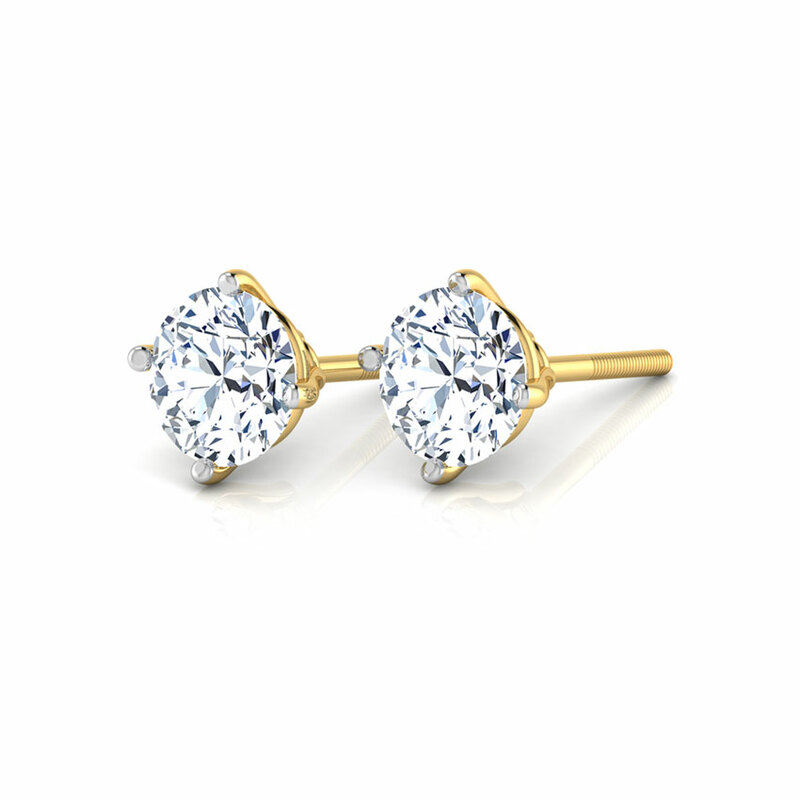 This is why stud earrings have gained such popularity across gender, age and class. 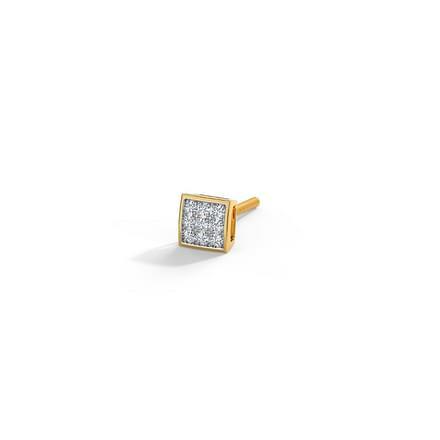 CaratLane has a huge collection of gold stud earrings and diamond stud earrings that can match every mood, budget and occasion. 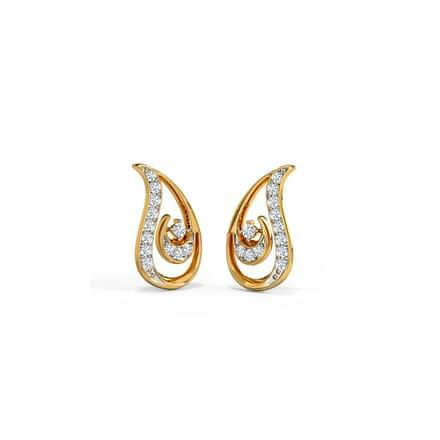 More than six hundred designs in gold and platinum with and without diamonds or gemstones are displayed on the website that showcases excellent craftsmanship and creativity. Get ear studs for men from the wide range of collection in Men Earrings category. 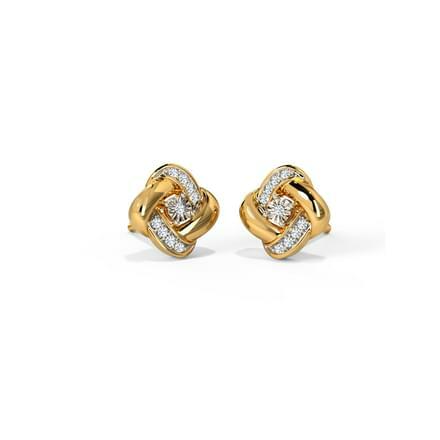 Traditionally, gold is the metal of choice for studs. 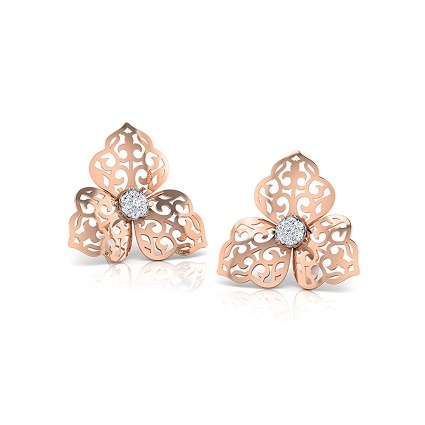 The 450-plus designs made of 22K, 18K and 14K gold come in floral, paisley, star, heart-shaped and geometric motifs. 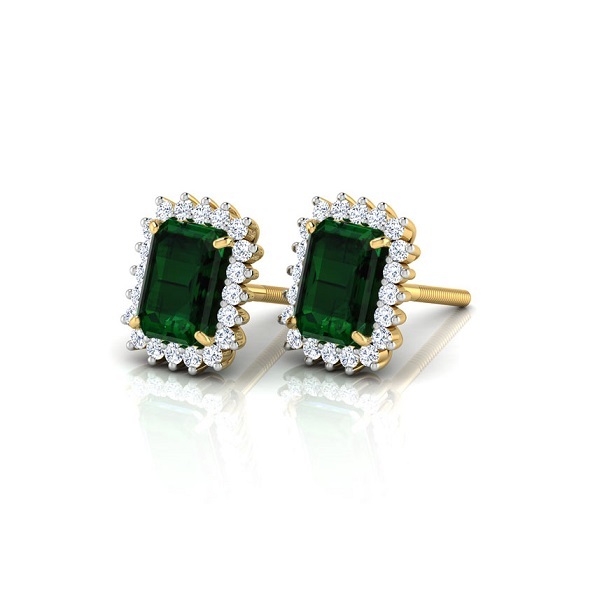 Many of these are enhanced with one or more gemstone. 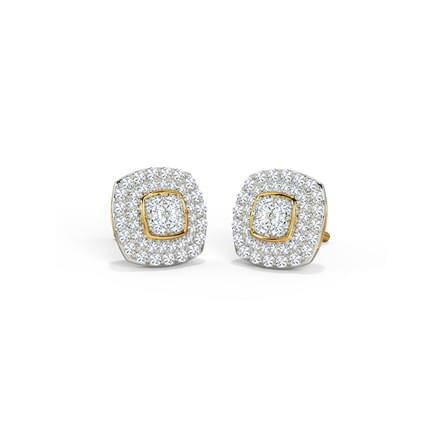 Citrine, white sapphire, yellow sapphire, blue topaz, blue sapphire, emerald, ruby, garnet, amethyst and diamonds - stones of all sizes, shapes and combinations have been used tastefully to create gemstone stud earrings. 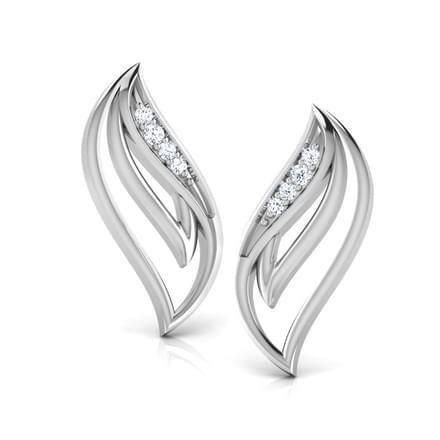 Platinum jewellery has a minimalist and elegant look that is often understated. 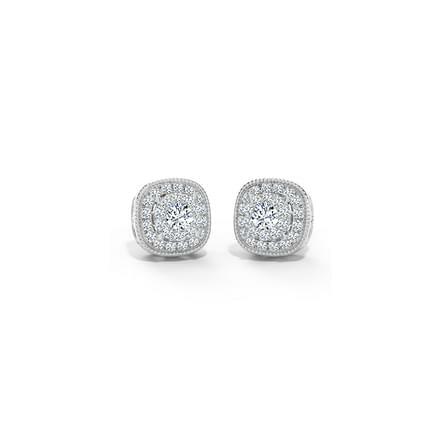 CaratLane has over a hundred designs of platinum stud earrings. Most of these designs are in a floral or petal motif. 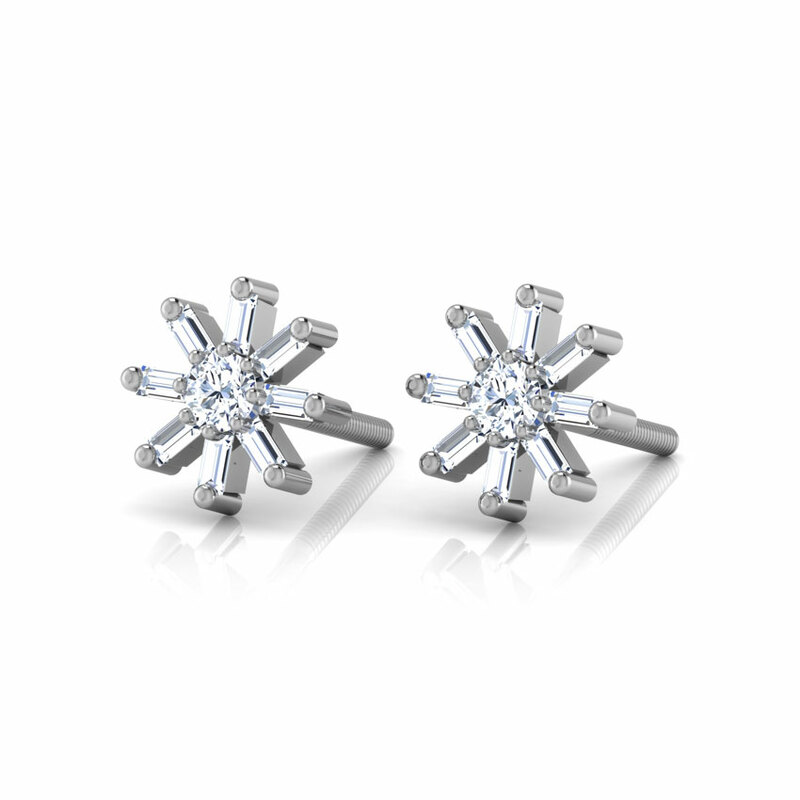 The gemstones used in some of the designs are blue topaz and diamonds- stones that blend with the silver-grey of the metal, enhancing its look with a gleam and a sparkle. Small ones with dainty diamond-studded flowers, single gemstones set a ring of gold or the traditional gold discs; the CaratLane collection understands that small is beautiful. 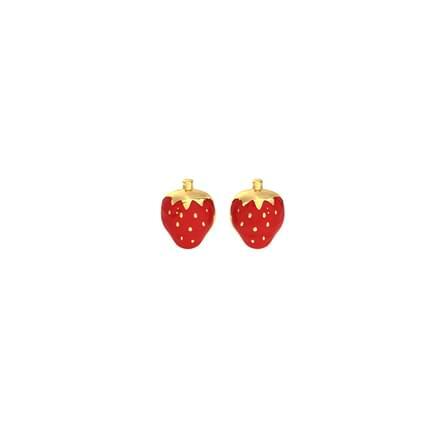 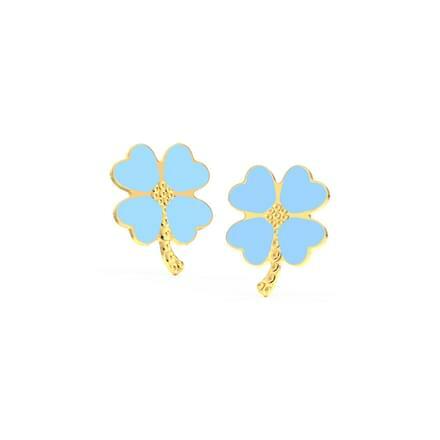 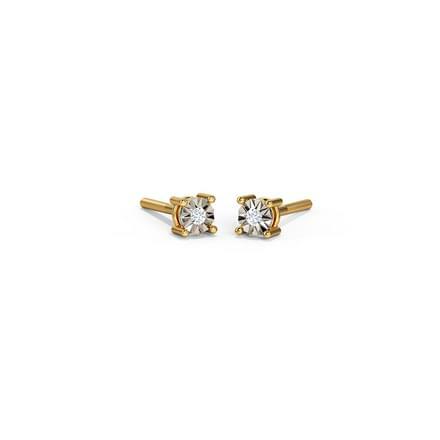 These small but significant stud earrings go well with office wear. 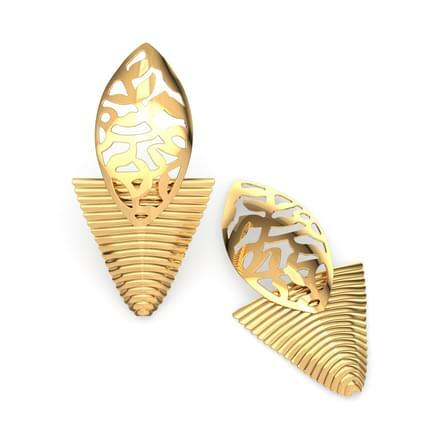 The collection also caters to occasions that require a slightly more intricate and larger, something that is removed from the ordinary. 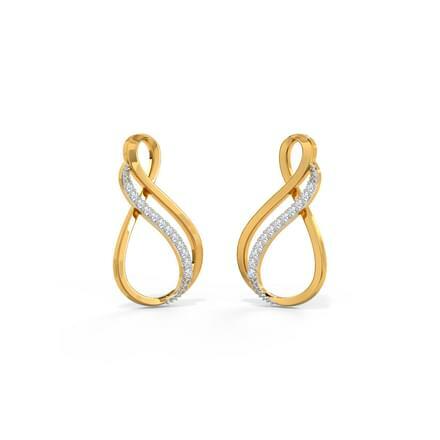 These could be the swirls of diamond or the jaali-like patterns in gold. 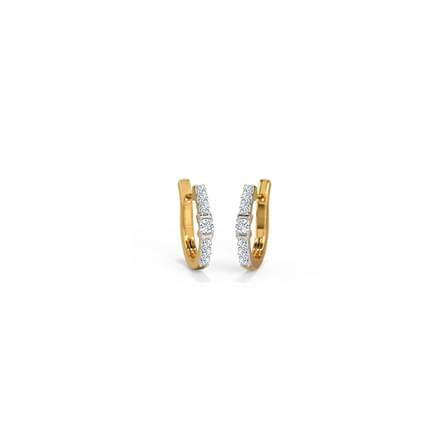 An added hoop or a single gemstone drop from the main piece can also draw attention to the jewellery. 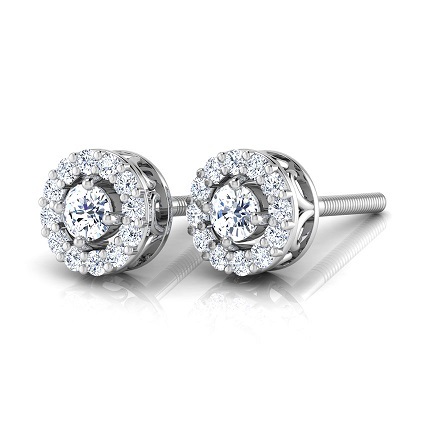 Collections of stud earrings in CaratLane have been named based on the inspiration for the same. 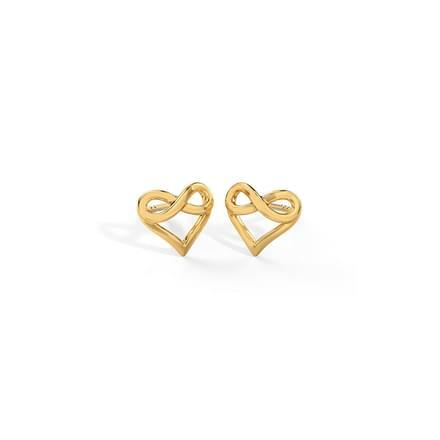 While the Heart beat collection is self-explanatory, the Trellis collection has motifs that resemble wrought iron work. Among these, there are traditional patterns like the wheel and the flower that can be worn as wedding jewellery stud earrings matched with jhumkas. 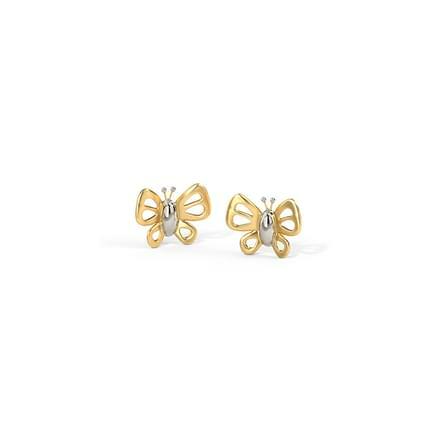 There are also funky designs like the fish pattern or the glory peacock with enamel work, which is ideal for party wear. 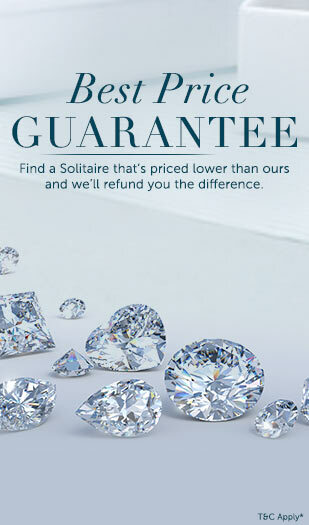 While every online shopping portal allows the customer to choose and buy items from the comfort of their home, CaratLane has gone a step further with the Try@Home feature which allows you to virtually try out the jewellery with a 3D app. 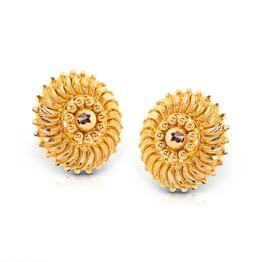 Payment can be done by cheque, credit/debit card, online transfer, Western Union money transfer or NEFT/RTGS.